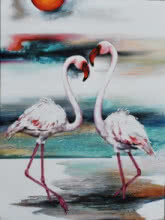 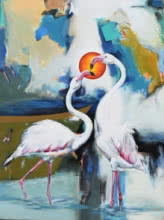 A series of paintings of a Flamingo. 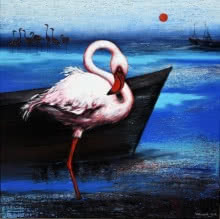 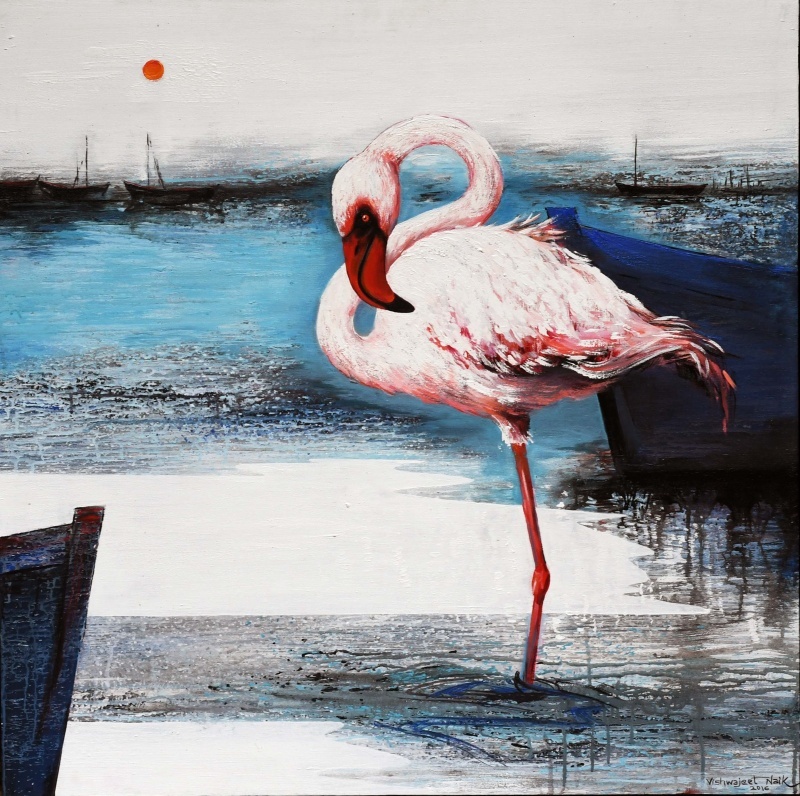 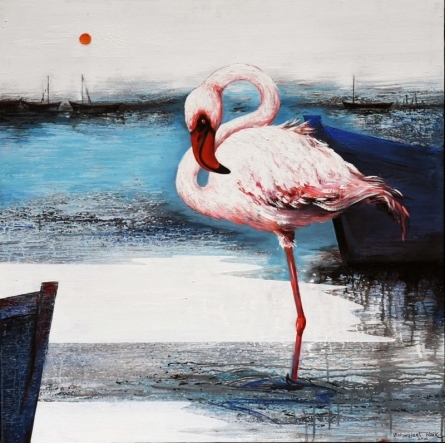 The Flamingo has always attracted the artist since childhood. 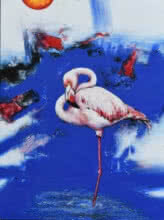 He believes that it is one of the most elegant of the birds not just in appearance but also in mannerism. 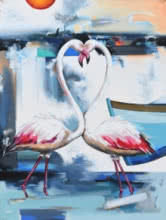 These birds are all about poise. 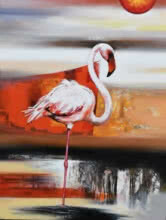 Flamingos exude a certain class.